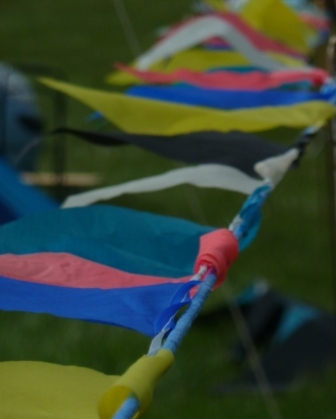 The Peterborough Kite Festival is held every June at the beautiful Ferry Meadows park, with kites filling the sky above cyclists, canoes, rowing boats, train rides, wildlife safaris and many other outdoor activities. It was nice to see Stafford Wallace continue to amaze people with his incredible fighter-kite skills and Team Spectrum were there too. We even managed to get Carl to fly rev’s with us for a little while (we have photographic evidence) to our and his obvious delight. A lovely summer day, relaxing in an English Meadow full of kites and kite-flyers. It doesn’t get much better than this.